Light Up Melbourne brings a world-class Chinese lantern showcase that’ll have you ‘ooh-ing’ and ‘ahh-ing’ during your entire Birrarung Marr stroll. 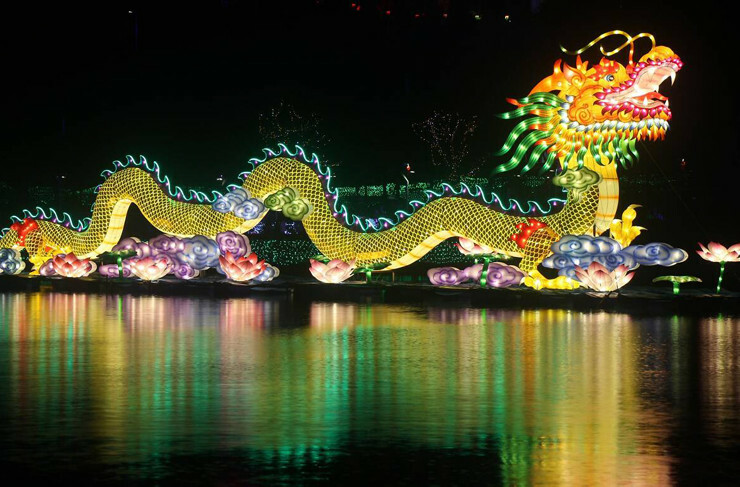 The festival will host a number of different large-scale lanterns, including an impressive centrepiece called the Eternal Dragon, which symbolises good fortune, strength and nobility. And if ogling beautiful lanterns isn’t action-packed enough for you, then tell your stomach to calm down: it’ll have plenty of opportunities to chow down on some delectable eats during your stroll. After all, it’s not a lantern festival without tantalising Sichuanese treats, arts and cultural activities, entertainment and sideshow alley games. Like with most Birrarung Marr-based activities, entry to Light Up Melbourne is totally free and will go from Saturday 6 April to Tuesday 9 April. Just make sure to bring some cash for snacks. Wine lovers: did you know you can now store your wine in a Pentridge Prison cell?